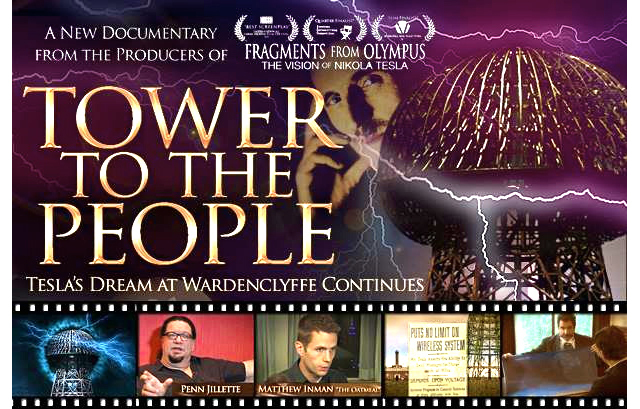 Documentary film about Nikola Tesla titled “Tower to the people – Tesla’s Dream at Wardenclyffe Continues” will have its premiere in Los Angeles on October 23, 2015 at the Creast. Film speaks of Tesla’s laboratory and tower at the Long Island through which Tesla wanted to provide wireless energy to the whole world. For the making of the film American director Joseph Sikorski used archived documents of the Museum of Nikola Tesla in Belgrade. Following the premiere film will be shown at the same theater from October 24 – 29, 2015. Тhe film had its premiere in April of this year in Belgrade. Also, last October it was shown at the hotel “New Yorker” in New York, where Tesla died in 1943. More details about the film premiere in Los Angeles you can find here.